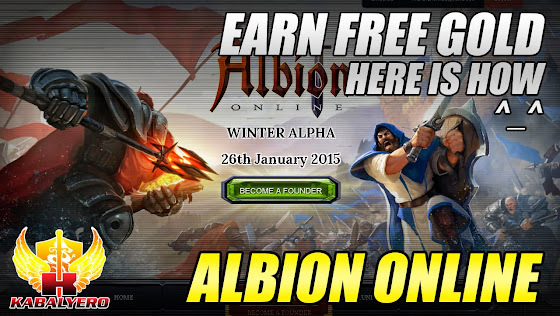 Albion Online Earn Free Gold Here Is How - KABALYERO - PLAY, BLOG & EARN! Albion Online is still in Alpha but you can already earn free gold for your account. Albion Online is an upcoming fantasy themed multiplayer online roleplaying game with sandbox elements and player driven economy. The game is still in development and it's currently in Alpha but you can now start earning free gold for your account. Here is how? All you have to do to earn Free Gold in Albion Online is to simply refer or invite your friends to check out Albion Online. If your friends create an account and purchase one of the Founder's Pack then you'll receive some Gold for it. For example, if one of your friends buy the Veteran Founder's Pack then you'll receive 1,000 Gold in your account. So, if you are interested in the game and wants to start earning Gold early then click the link in the description of the video below. 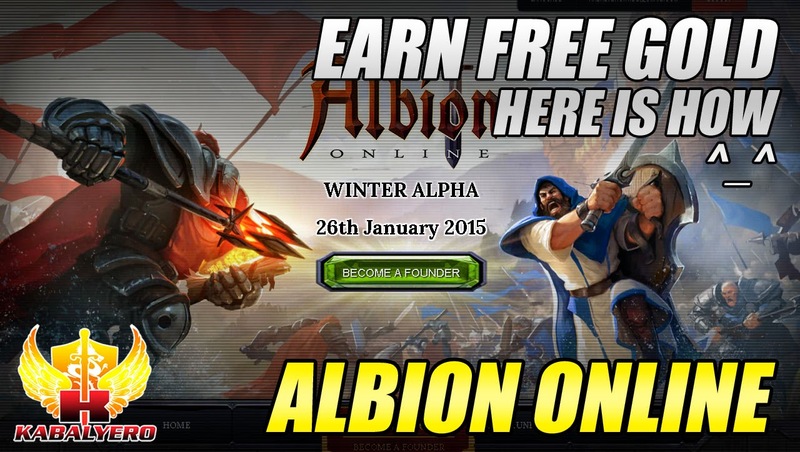 It will take you to Albion Online's website where you can create your free account.